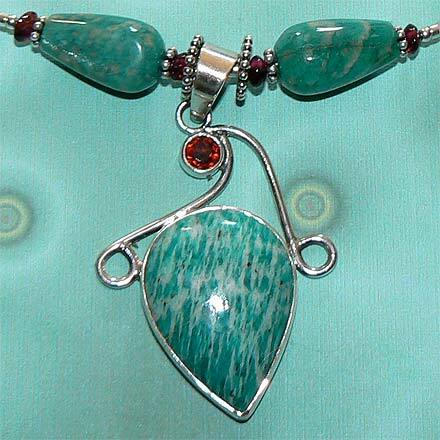 Sterling Silver Amazonite and Garnet Necklace. See Closeup. 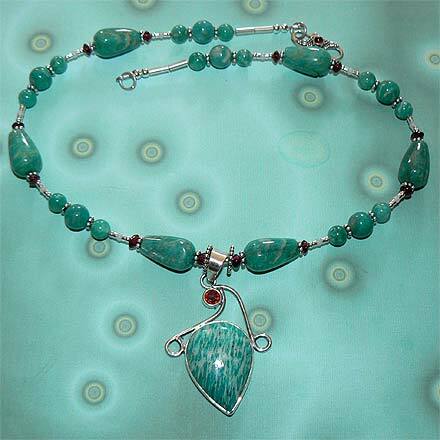 Teardrops of aqua-colored Amazonite drip from this jewelry set, highlighted with dark blood red Garnets. 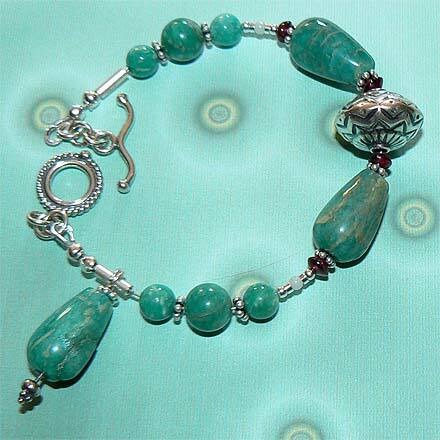 Necklace comes with Garnet clasp.